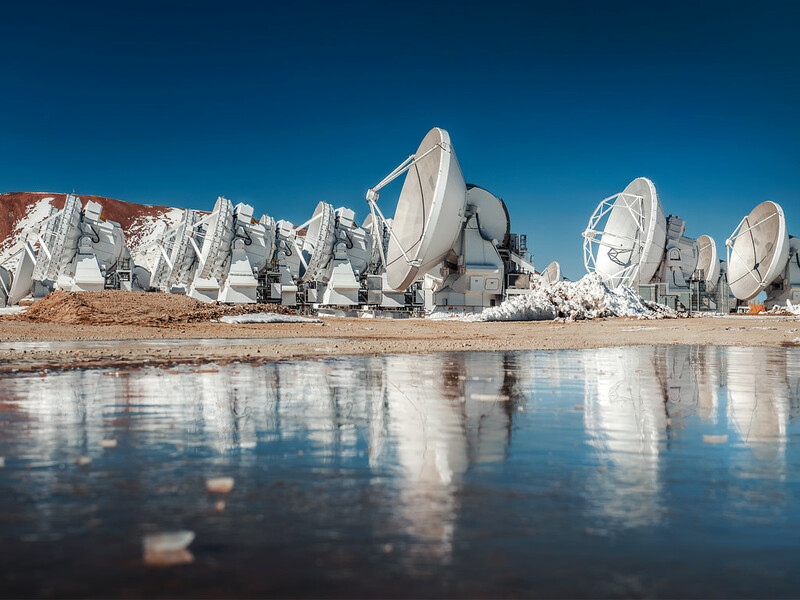 The Atacama Desert is commonly known as the driest non-polar place in the world — some weather stations in the desert have never received rain! 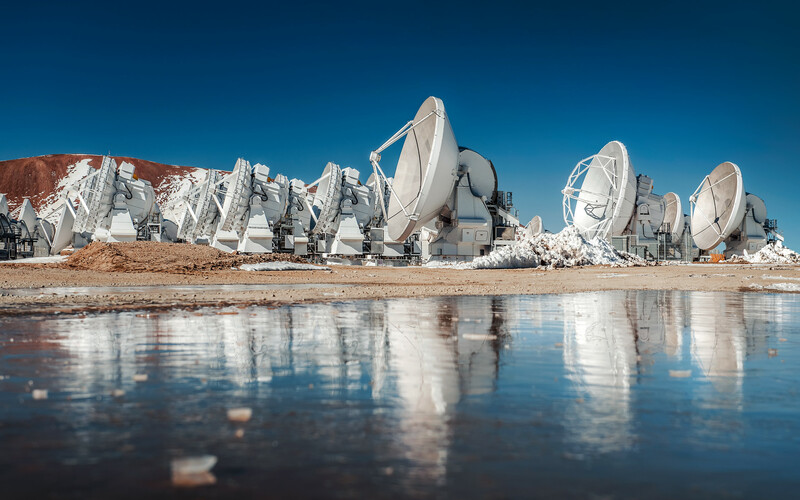 However, the desert — on average — receives about 15 millimeters of rainfall per year. 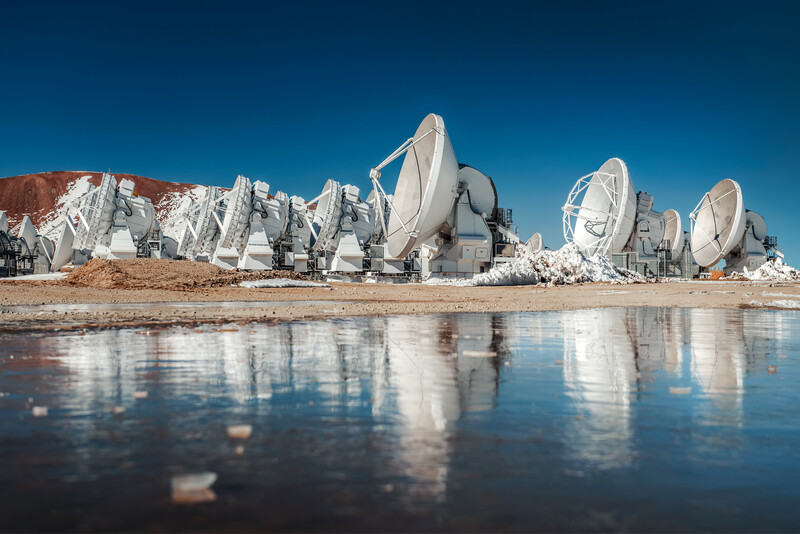 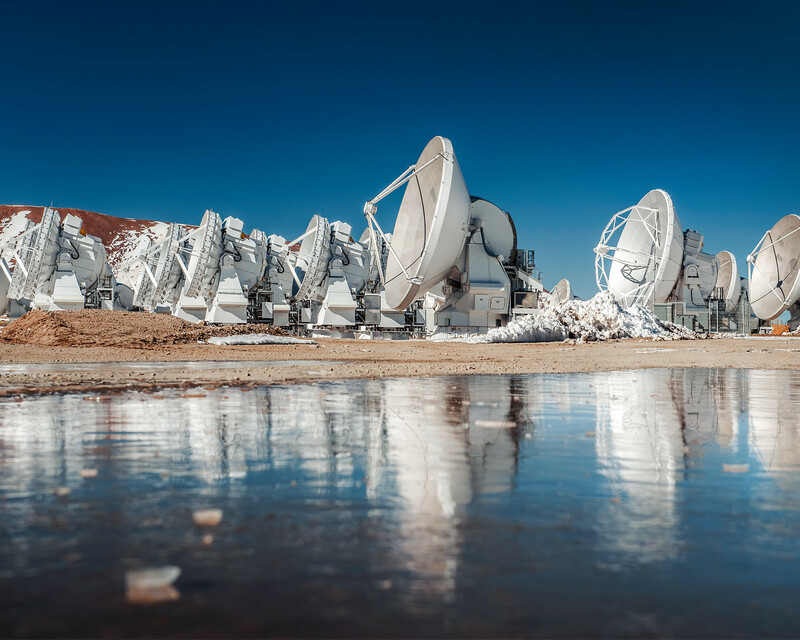 As such, ALMA antennas such as the ones seen here, must undergo water testing — to ensure that during rare rainy periods, water doesn't reach their receiver cabins.